We love this pitcher for that favorite drink by the pool. Keep pool time snacks simple and fun! 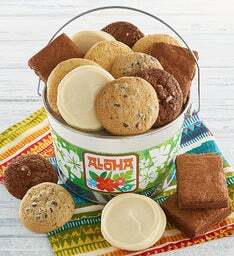 Add this Gluten Free treat to the Collector's Edition Green Pineapple Cookie Jar and your sure to please everyone's tummies! Enjoy some Cherry/Pineapple Dump Cake, then kick back and enjoy the rays on this pool floatie.